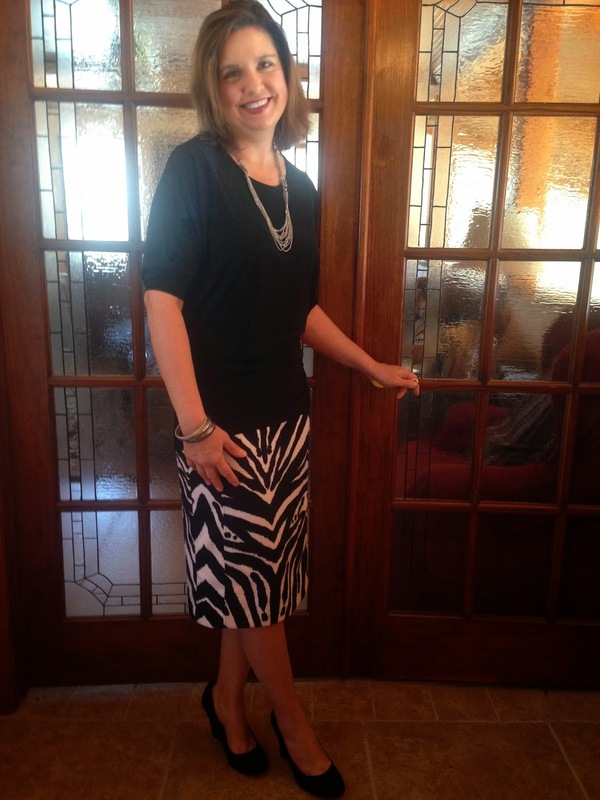 My daughter purchased this zebra skirt from a friend who was selling some of her clothes. It's originally from New York & Co. Ashley decided she didn't want to wear it anymore, so she passed it off to me. I have yet to wear this skirt out of the house. I like it a lot, but it's a bit too formal for my taste, so I'm still trying to figure out other ways of wearing it to bring the formality down a bit. I really like the white tee shirt and denim jacket idea I pinned from Pinterest (pictured at the end of the post) and I also saw a graphic tee worn with the skirt that I could try (except, I don't own any graphic tees that would match this skirt and the style gods say no one over forty should wear a graphic tee--HA! your rules, not mine). I'll keep playing with it, and maybe someday soon I'll find a way of wearing it that I really like and I can wear it outside of the house and not just for photographs. :) In the meantime, here is how I styled the skirt for today's post. 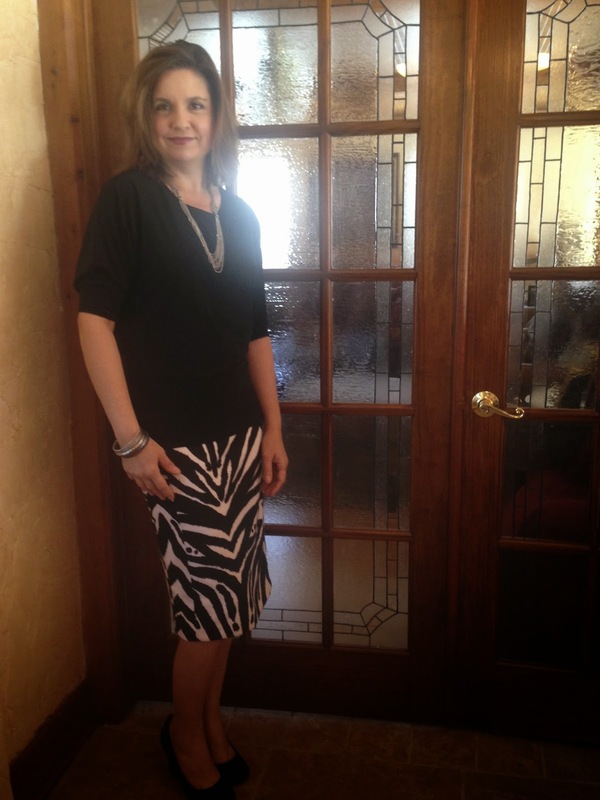 I paired my zebra skirt with a solid black Dolman sleeve top I received from Stitch Fix over a year ago. I know, so creative. But it's a hard skirt to style! The top is by 41Hawthorn and has a unique back zipper. 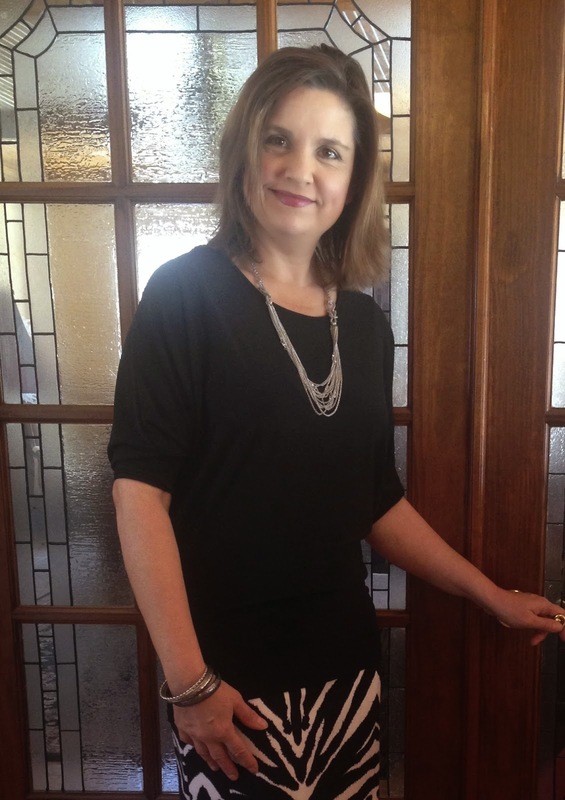 I have previously shown you this top styled with a mustard pencil skirt HERE. Since the print in the skirt captures enough attention, I kept the jewelry simple by sticking with a solid silver necklace and bracelets. My shoes are black suede wedges I picked up at Famous Footwear. 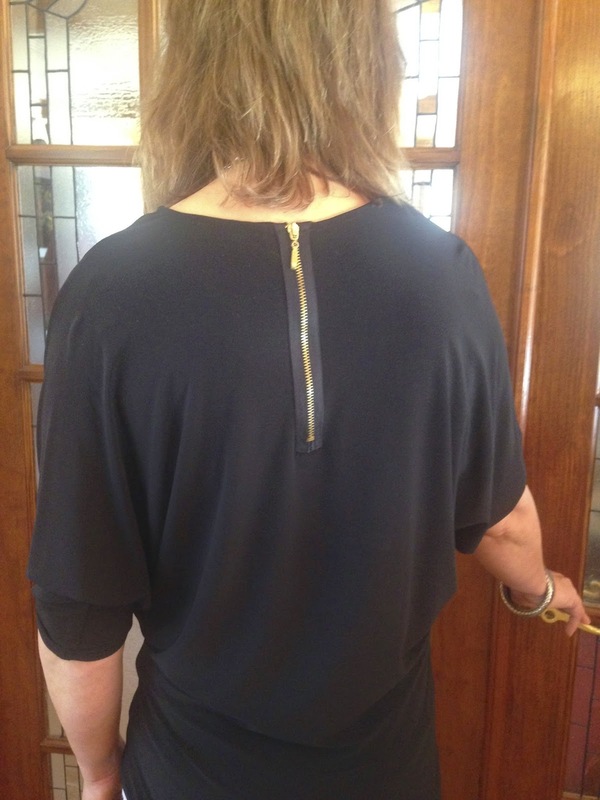 Here is the exposed back zipper. I really like it when clothing items have these little extra details that make the apparel special. 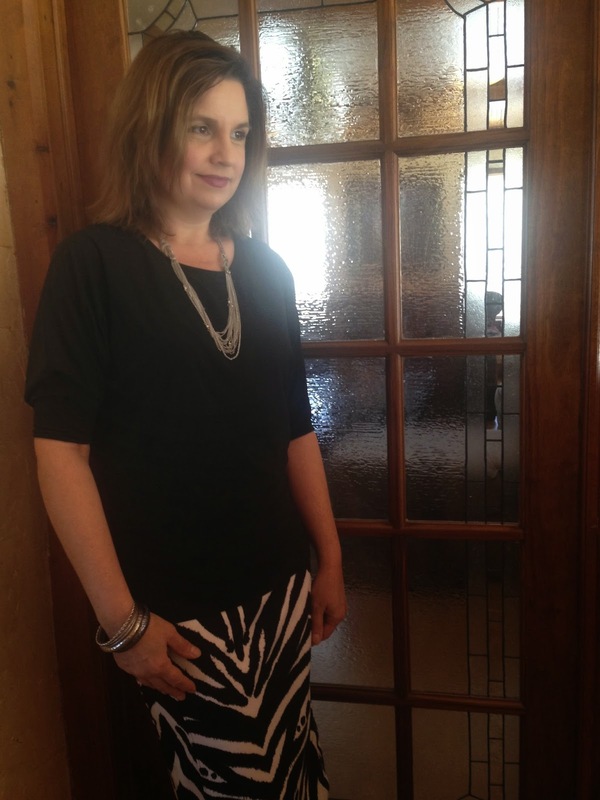 And, here are other, more creative ways to wear a zebra skirt. First up, the denim jacket pin I mentioned in my first paragraph. And here it is still paired with a white top, but the color is brought in with a cardigan. And finally, the skirt paired with a graphic tee and white blazer. I really like this look. I already own a white blazer, so maybe I need to keep an eye out for a cute graphic tee shirt to go with it. Which look is your favorite? I'd love to hear from you! 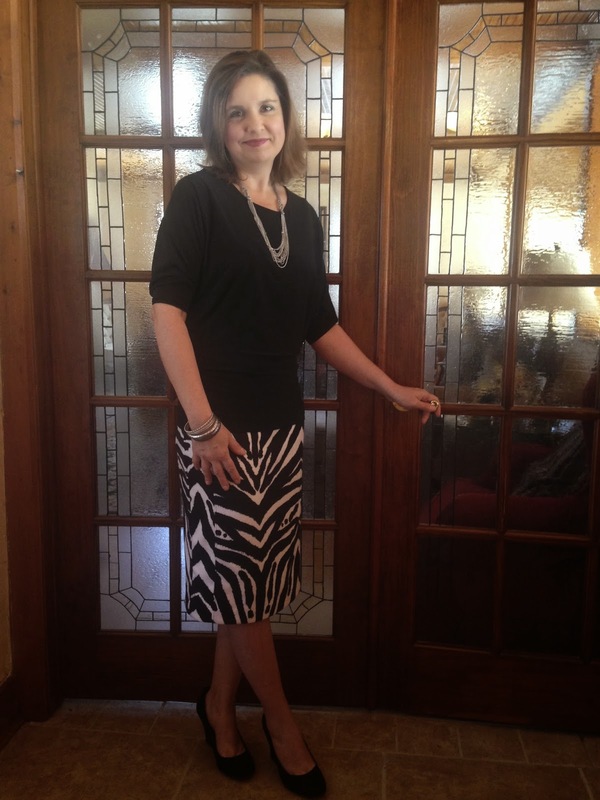 Linking Up with Casual Friday, Fashion Friday, Passion for Fashion, Fashion Should be Fun, and All About You. Wow ! Love this skirt ! 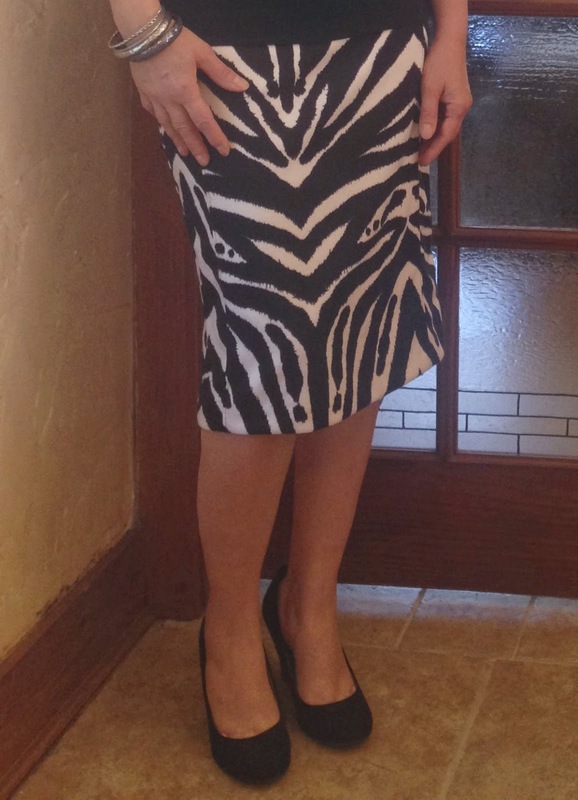 Zebra, loooove print zebra ! Ma favorite look ?...with the blazer, cool with the t-shirt and chic too ! Great look ... the skirt and the blouse are so cool and pretty! Thanks so much for linking up with Fun Fashion Friday!